Robert Hooke created the first sketches of the magnified insects which is nothing but beautiful. The entire world after that was eager to look at the other world that you can see only with the microscope. Now, no one can see that world except that they have the microscope. Luckily many companies manufacture the microscope in Singapore. It is imperative or necessary for you to pick the right one to gaze into this beautiful world. Because of the microscopes, one can gaze into the beautiful world of the living cells and can visualize detailed structures as well as do dynamic study processes to learn about them. The microscopes that you find these days can reveal a lot of things. You can know the secretion of the insulin in pancreatic cells to checking the chemical crossfire which is in slices that are existing in the brain tissue. Microscopes Today Are Different: It is a fact that the microscopes have evolved a lot in the past few decades. Nowadays people are not looking at the specimens using their eyes anymore. But, they look at them using digital means. The thing that is more advanced in a microscope these days is the cameras. Most cameras nowadays have electronic light sensors which are called CCDs. They are more sensitive than the eyes of humans. Since there is a massive demand for the consumer camera market, The cost of a camera has reduced from almost 100 thousand dollars to 30 thousand dollars. The Three Flavors: You can find the microscopes in three flavors. Optical, electron and scanning probe microscopes. Within the optical microscopes, there are confocal microscopes and wide-field microscopes. A widefield microscope uses the light emitted from the sample. You can use it to peek at cells that are of single layers or tissues that are thin. The best part about an optical microscope is that it can image cells that are living. But the only limitation for these microscopes is that they provide resolution of around 200 nanometers. One nanometer is nothing but is almost one billionth of the meter. For example, a paper is nearly 100,000 nanometers in thickness. The Electron Microscope, Electron Microscopes can produce images using nothing but a beam of electrons instead of a light. The resolution that comes from these devices is better than the optical microscopes. The wavelength of the electrons is almost 100,000 times shorter than that the light that is visible. The only drawback about these microscopes is that you cannot use them to see the living cells as they have the capability of killing them. 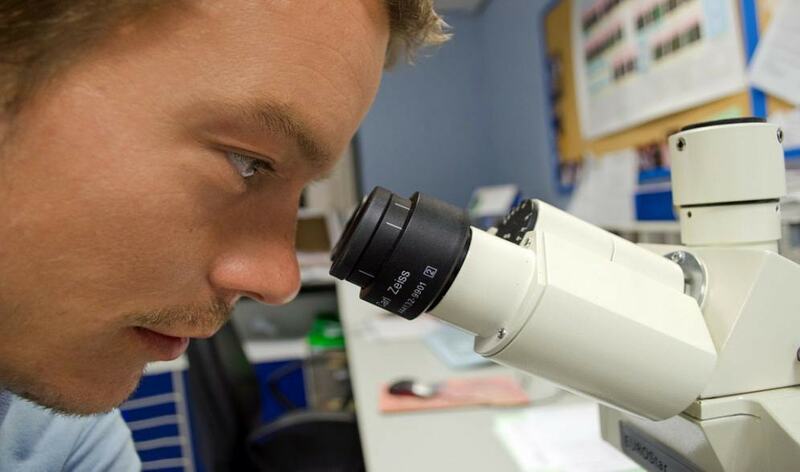 You should check all these various options carefully before picking a microscope in Singapore. Pick only those that you think will aptly fit your requirement. copyright © 2019 All Rights Reserved By EINST Technology Pte Ltd.